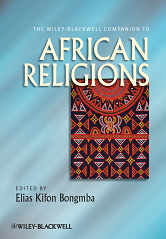 The Wiley-Blackwell Companion to African Religions brings together a team of international scholars to create a single-volume resource on the religious beliefs and practices of the peoples in Africa. Offers broad coverage of issues relating to African religions, considering experiences in indigenous, Christian, and Islamic traditions across the continent. Contributors are from a variety of fields, ensuring the volume offers multidisciplinary perspectives. - Explores methodological approaches to religion from anthropological, philosophical, and historical perspectives. - Provides insights into the historical developments in African religions, as well as contemporary issues such as the development of African-initiated churches, neo traditional religions, and Pentecostalism. - Discusses important topics at the intersection of culture and religion in Africa, including the arts, health, politics, globalization, gender relations, and the economy.